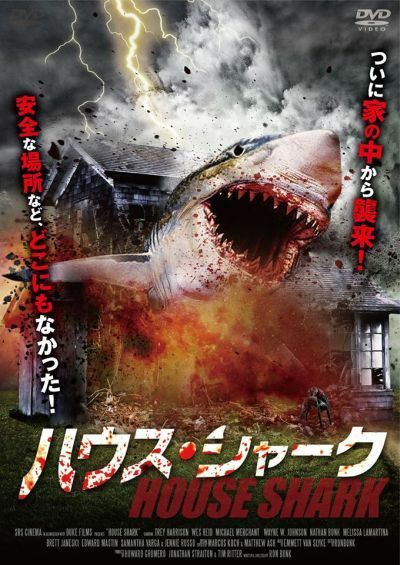 -Japanese DVD cover for HOUSE SHARK (SRS CINEMA LLC) to be released on 11/2. Directed by Ron Bonk. I’m grateful to have been part of this cast along with Michael Merchant, Trey Harrison, Jonathan Straiton,Brett Janeski, Samantha Varga, Edward Mastin, John Krenrich, Melissa LaMartina, Jennie Russo, Jody Pucello, Greta Volkova and more. I play the role of Darth Squanto in this. This entry was posted in ACTING, FILMS and tagged acting, Brett Janeski, comedy, Darth Squanto, DVD Cover, Edward Mastin, Greta Volkova, horror, horror film, horror movie, House Shark, Japan, Japanese, Jaws, jennie russo, Jody Pucello, John Krenrich, jonathan straiton, Melissa LaMartina, Michael Merchant, RON BONK, Samantha Varga, shark, sharknado, SRS Cinema LLC, Trey Harrison, wayne w johnson, WWJ. Bookmark the permalink.